Nearly 150 members, corporate partners and guests attend NAWBO-Indianapolis Luncheon Meetings. Attendees have the opportunity to network with some of Indianapolis’ most powerful women while enjoying a wonderful lunch and presentations by an active member, a Corporate Partner representative and a keynote speaker, who is chosen based on that events luncheon topic. 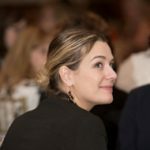 The luncheons are held at various locations close to downtown Indianapolis from 11:00 a.m. to 1:00 p.m.
NAWBO-Indianapolis does not issue credits or refunds. No-shows will be billed accordingly. All pricing is subject to change on an annual basis.